Ergonomic carabiner design for positive handling and easy clipping. 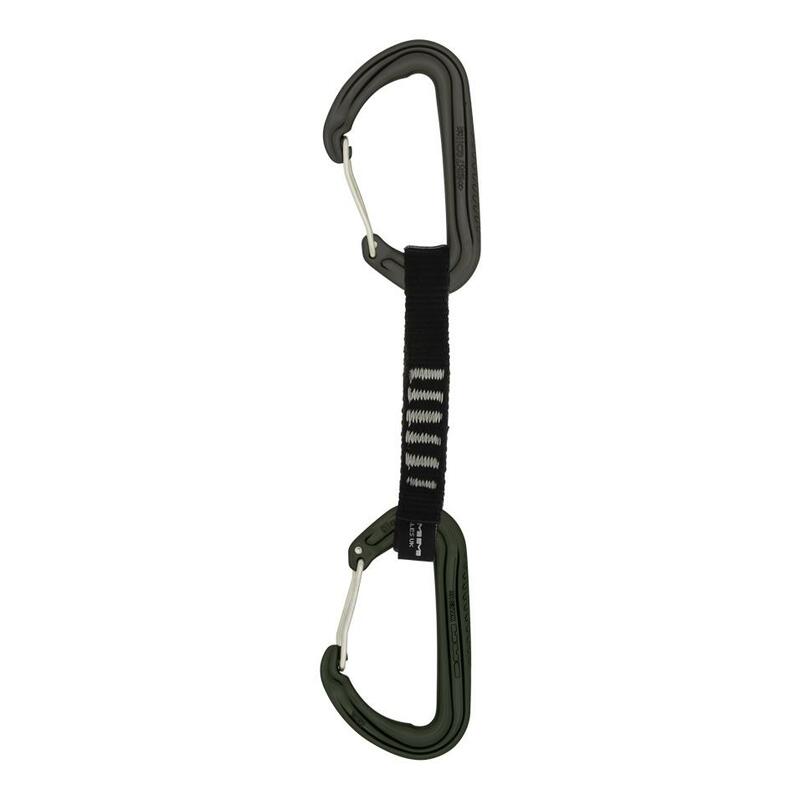 Wire gate carabiners for maximum weight saving. Fully clean nose for security and reduced snagging. I-Beam construction for optimum strength to weight ratio. Dynatec to balance low weight and durability. Super-light quickdraw for minimum weight. Mounted on Dynatec to balance low weight and durability. Fully clean nose for extra security. 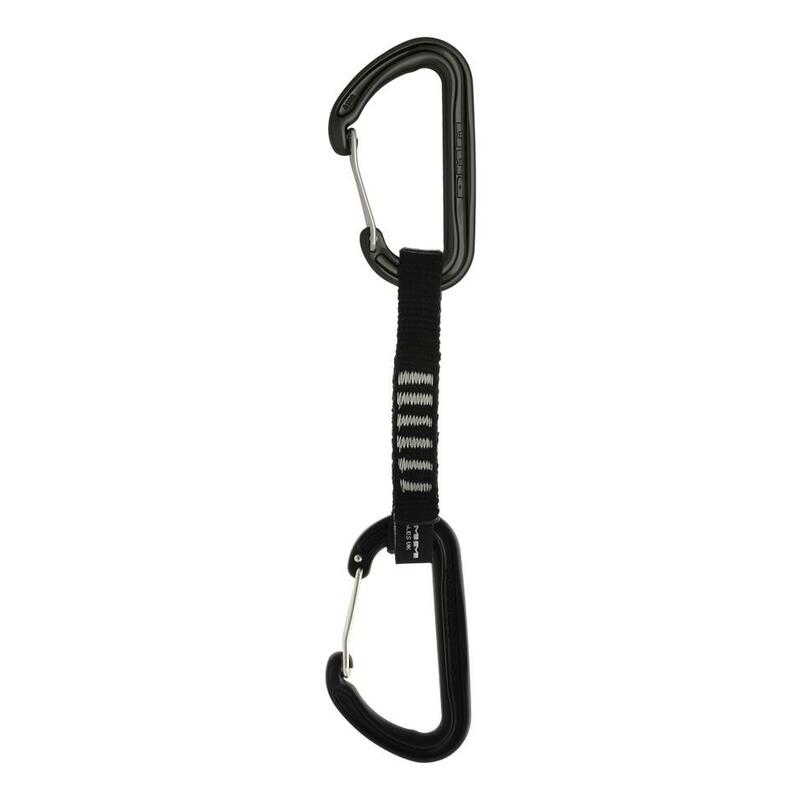 Contrasting carabiner colours identify rope and gear ends of quickdraw. 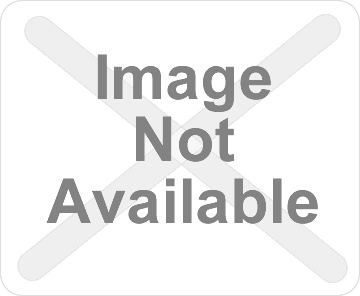 Small gate notches reduce snagging on equipment. Dynatec sling gives low weight and durability. Wire gate carabiners reduce weight. 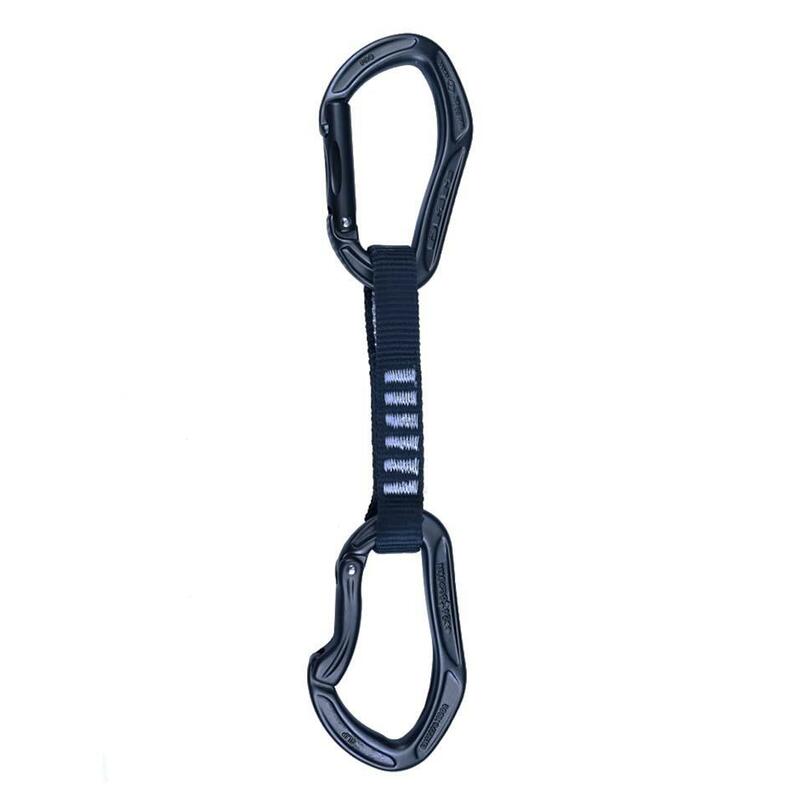 I-Beam carabiner construction gives optimum strength to weight ratio. Small gate notch reduces snagging.